Key FeaturesOpening the doors to a new era of horror. item 1 Resident Evil 7: Biohazard (PS4, 2017) - VR Compatible. -Resident Evil 7: Biohazard (PS4, 2017) - VR Compatible. 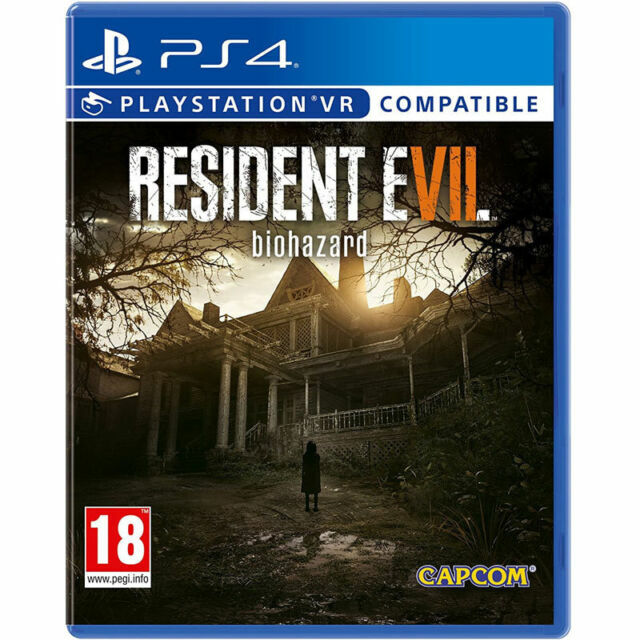 item 6 Resident Evil 7: Biohazard (PS4, 2017) - VR Compatible. -Resident Evil 7: Biohazard (PS4, 2017) - VR Compatible. Explore, survive, and feel in this special edition of Capcom's Resident Evil 7 for the PlayStation 4. This edition of the series concentrates less on gunplay than Resident Evil 4, 5 and 6. It focuses around the protagonist and his two friends attempting to survive in the confines of a remote mansion filled with psychotic members of a terrifying family. Beyond the story, the game also offers multiplayer features. A complete waste of time, a truly awful "game". Not scray in the slightest, poor graphics, tedious gameplay and the slowest reactions when dealing with the enemy ive ever experienced, it is a truly awful gaming experience and very frustrating to play. The only thing that will give you nightmares about resident evil 7 is that you could have spent the money you paid for this trash on a decent pizza and a couple of beers. This is a trustworthy review. Its the besr horror game.Resident Evil franchise is back again to show why it's one the greatest horror franchises of all time. The game is cheap now so buy it asap! Graphics are perfect and the atmospehere is creepy.If you have VR set , you'll be really terrified of this game.Creators had used all best practices from some favourites horror movies . One of the best graphics, and scariest game I've ever played. Really feels like you're in a movie. Only downside is it's around 18 long and you wish it would go on forever. Loads of unlocking to do for more weapons after you've finished the game though.